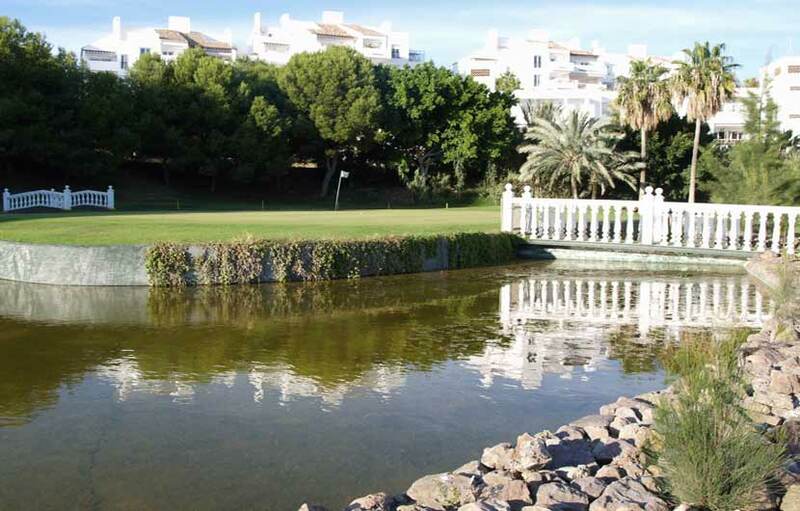 Miraflores golf holidays are as popular as ever situated within the one most popular developments on the Costa del Sol. 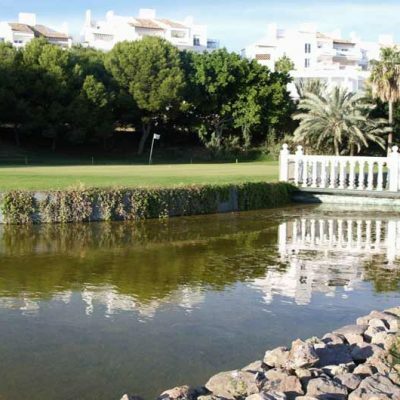 Miraflored Golf is conveniently located between the well known resorts of Fuengirola, Marbella and was created by Falco Nardi opening its doors for the first time in 1990. 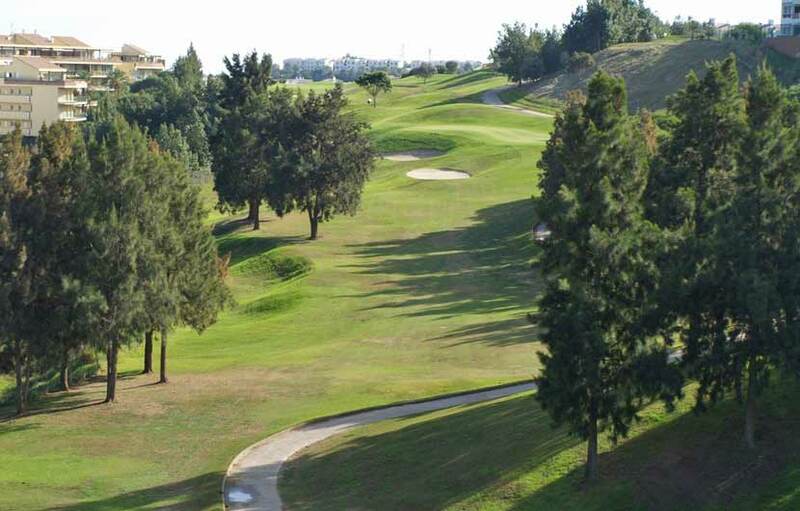 Miraflores golf now has around 1,500 shareholders with a reduced playing membership of 800. The course has recently undergone some substantial up-grading and although it does seem hilly at first glance, the course actually follows the contours of the valley very well and not as demanding as a lot of other courses on the coast. 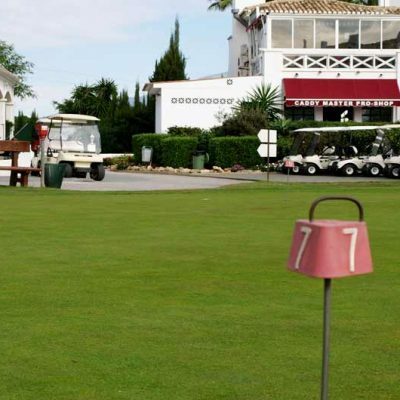 There are however some stunning views over the mountains and Mediterranean sea as you play your way round. The course is around 4900 meters off the yellow tees which is quite short compared to most courses however each of the holes is unique and offers a different challenge which make its an interesting and thoughtful course to play. Accuracy is a must at Miraflores if you are to make your par although you will be well rewarded for making long straight drives. 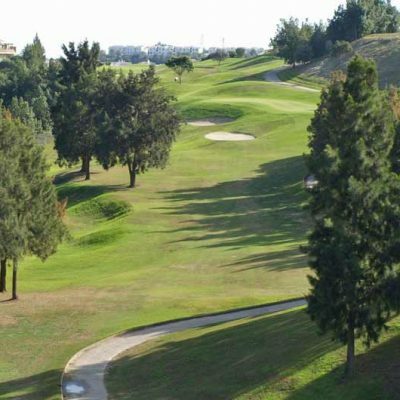 Miraflores golf is a respectively easier course to play than most and is well suitable for players of all ages and levels. The greens are quite fast and most of the fairways are fairly level and wide, there are also a number of elevated greens which do require a good amount of walking so a buggy is recommend though not a must. There are a number of picturesque water obstacles and white bunkers filled with crushed marble. 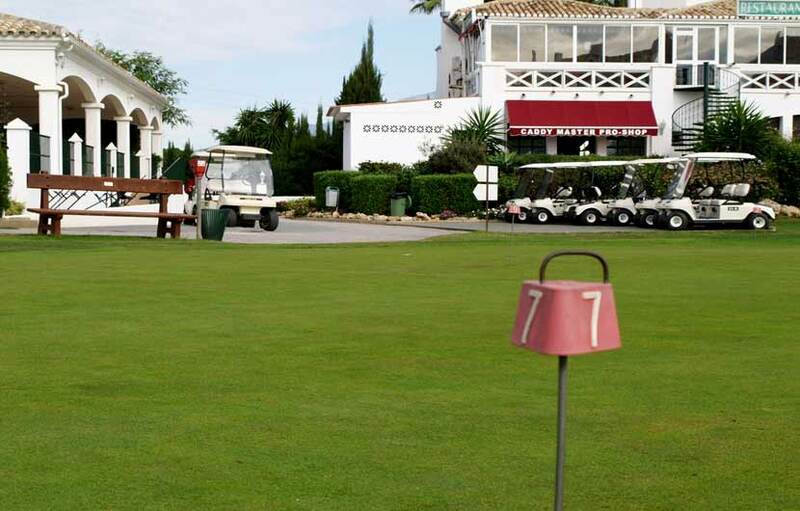 As Miraflores Golf has a large expat membership there is a warm and inviting atmosphere around the club. There is a friendly restaurant and bar located on the grounds which offers excellent food at very reasonable prices, recommended is the Sunday lunch. There is also a well stocked pro shop, buggy hire, golf academy, driving range, pro lessons, bar cafeteria and a putting green located behind the club house.